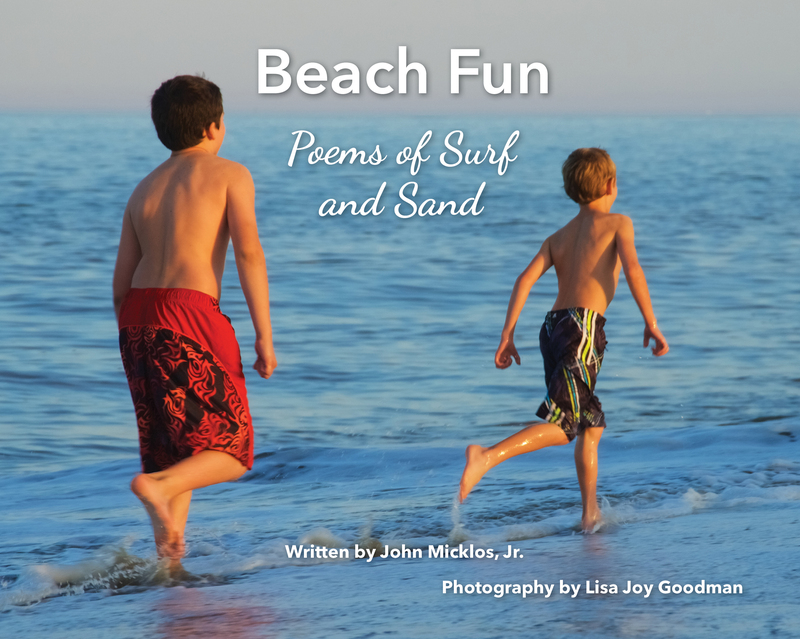 Beach Fun: Poems of Surf and Sand | First State Press - Author John Micklos, Jr.
Beach Fun is a perfect book for the classroom! I would use it at the beginning of the year as a discussion starter about the students’ summer vacations, or the end of the year as one prepares to say, “Farewell and happy summer!” Poetry is the perfect filler when you have just a few minutes and a great motivator for writing workshops! The photographs in Beach Fun made me want to slather on the sunblock and head on out to meet the waves! Lisa Joy Goodman’s images capture the beauty, the serenity, and the FUN that we have all experienced at the shore. You can just feel the sand between your toes and smell the salt in the air! From sweeping panoramas to enchanting details, from a child’s delight running along the surf to some good old fashioned sandcastle making, these images embody all that is magical at the beach. I just love the photographs. They are breathtaking. The poems are fun to read and sure to hit home. My daughter read “I Just Can’t Wait” and said, “That’s me!” It’s great to see such a variety of poems in one book!